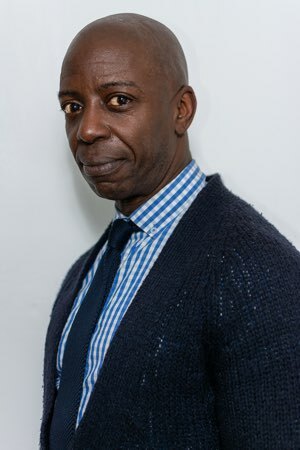 Over the last three decades, Dennis has developed and facilitated personal development workshops aimed at Black gay & bisexual men, that explore themes around identity, self-esteem, assertiveness, relationships and sexual health. 15 years ago, Dennis trained in Humanistic Psychotherapy at Spectrum. For almost 15 years, Dennis has worked as a part-time lecturer at The City Literary Institute, and currently delivers short courses on Anger Management, Group Facilitation, Gestalt and also facilitates Personal Groups for counselling students. Dennis is a founder partner of Loving Men, established in the early nineties to develop personal development events aimed at Gay men around the UK. Dennis also works as a freelance staff trainer, designing and delivering training programmes for Care Quality Commission, Social Care Institute for Excellence, West London Mental Health Trust, London Borough of Tower Hamlets, Choice FM Radio and several other satisfied clients. Dennis appeared in the Channel 4 documentary ‘Reggae, Trainers & Olympics which explored the role of dancehall music and homophobia and was also an official spokesperson for the Stop Murder Music Campaign. Dennis has also received two Black LGBT Community Awards in recognition of his work with QTPOC communities in the UK.